THE WEEPIES Celebrate The 10th Anniversary of Their ‘Hideaway’ Album at LA’s El Rey Theatre! 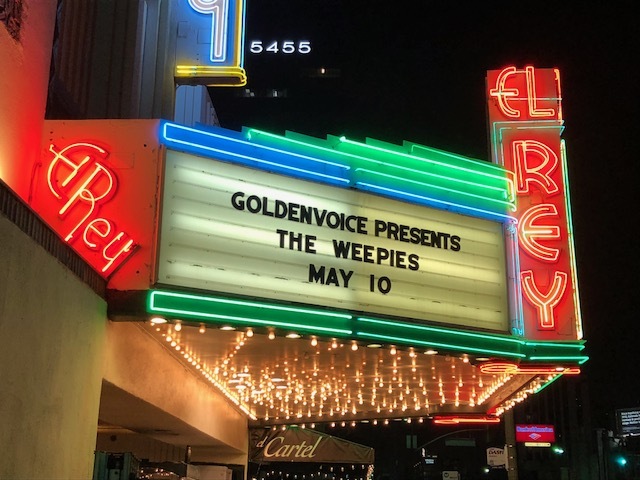 On Thursday, May 10 The Weepies brought their brand of sweet and melodic indie-pop and folk tunes to LA’s El Rey Theatre. 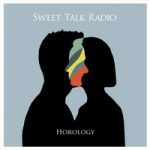 In celebration of the 10th Anniversary of their 2008 3rd album, “Hideaway” via Nettwerk Records, the husband and wife duo are headlining 22 shows across the US with their band. 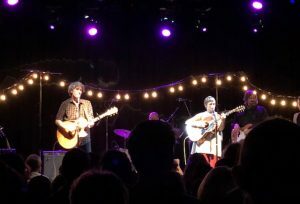 This tour kicked off in The Weepies’ adopted home of Iowa City and will end on May 19th in Washington. 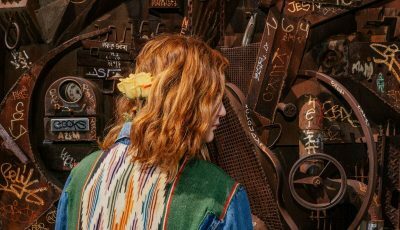 “It’s unusual to get a second chance to do something like this, so we’re taking the band and going all out,” says The Weepies’ Deb Talan. Throughout their set, Sweet Talk Radio continued to thank the crowd for being there and for the opportunity to play at the El Rey and open for The Weepies. 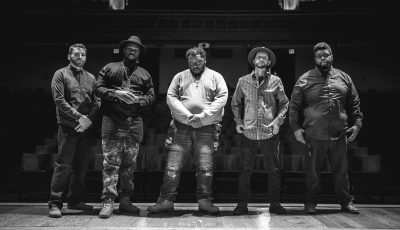 Their music has earned them recurring spots on the iTunes Singer Songwriter chart and the ears of music supervisors on some of today’s top TV shows. Not long after Sweet Talk Radio exited the stage and new lights and instruments were set up, The Weepies began playing. The stage was dressed like an intimate outdoor wedding with white lights strung around. Performing just about every song on their “Hideaway” album during the show, the crowd was putty in Deb and Steve’s hands. 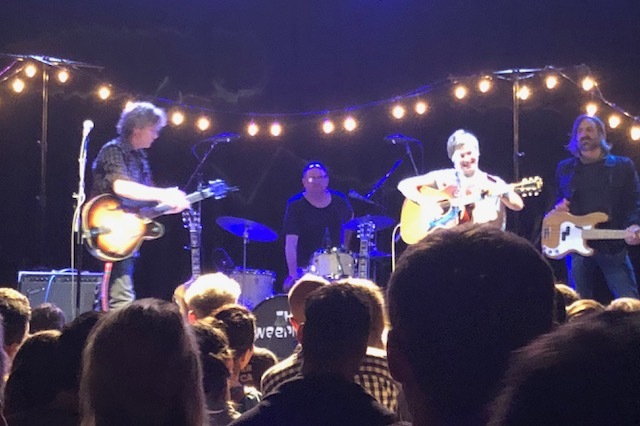 It was very clear from the beginning of their almost 2-hour long set, this packed venue was made up of true devout fans of The Weepies. They knew all the words to every song and laughed at all the right places. Throughout the show, numerous audience members shouted out song names they wanted the duo to perform and the duo loved all of the enthusiasm and energy. While The Weepies are incredible musicians, it’s their beautiful harmonizing voices that intertwine with one another that truly memorizes listeners. 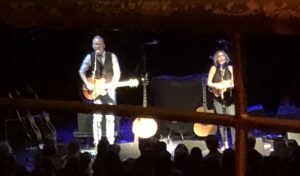 They play and sing together, like Sweet Talk Radio, so effortlessly and casually that it’s no surprise they are a married couple and have been playing together since 2001. 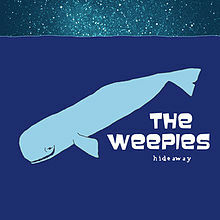 When describing The Weepies, it’s also important to mention their creative and sweet lyrics. The duo delighted the crowd with most of the songs off “Hideaway” including “Can’t Go Back Now,” “Hideway,” “Wish I Could Forget,” “Old Coyote,” “Little Bird” and more. They also played other fan favorites off their 2010 album “Be My Thrill” like “I Was Made For Sunny Days,” “Red Red Rose” and “Hummingbird.” The Weepies sang a few track off their 2015 collection, “Sirens” too, including “Fancy Things,” and “My Little Love.” They also played a few older hits from their debut album “Happiness” including “Jolene” and “Vegas Baby.” At one point Steve told the crowd that they had veered so far off the set list and were just vibing off the room. 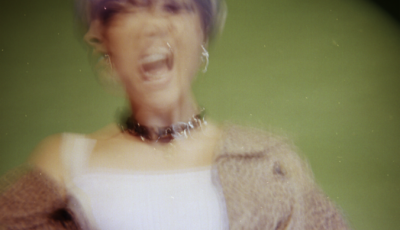 In between these songs, the two shared details about writing them and where they were at the time. They also talked a lot about being parents and how they has changed them. Steve at point asked who in the crowd hired a babysitter so they could be at the show and then thanked them for doing that. As parents of three young boys, Deb and Steve certainly know what it’s like raising children and finding childcare. The Weepies are a class act. They know their craft and they know it well. They create music that is as inviting as a cool pool on a hot summer day. This is one tour you don’t want to miss! An In-Depth Interview With The Multi-Instrumentalist/Singer-Songwriter, Robbie Gennet!